Global Practices and Training in Applied Sport, Exercise, and Performance Psychology offers case analysis as a vehicle to address issues and experiences in the application of sport, exercise, and performance psychology (SEPP) and the supervision/training of individuals to become professionals in the field. 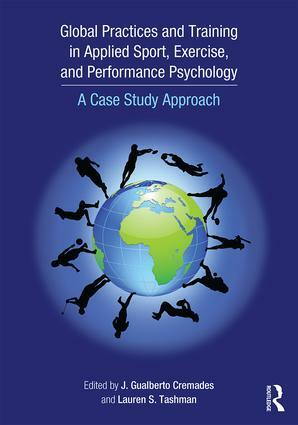 A follow-up to Becoming a Sport, Exercise, and Performance Psychology Professional (2014), this book features a discussion of real-world case examples which highlight various aspects of professional practice as well as supervision and training. Professionals from around the world, including the United States and Canada, Europe, Asia, Africa, and Australia share diverse experiences, providing a uniquely in-depth, global perspective. The case studies contained in the book were selected to provide insight into specific elements of applied practice and supervision/training through a global lens as well as demonstrate the value of incorporating case analysis and reflection into one’s training and continued professional development. Case analysis is an essential part of learning and instruction. Beyond educating the reader about theories and research on related topics in the field, case analysis allows for more complex levels of learning, including analysis, synthesis, and evaluation of diverse scenarios. In Part I of this book, the cases focus on applied SEPP practice; Part II is comprised of cases that focus on training and supervision. This book is essential reading for graduate students and neophyte professionals in the field for whom it is critical to learn how to effectively apply knowledge to real-world sport, exercise, and performance psychology scenarios. In addition, the book is a useful resource for seasoned and expert practitioners and supervisors who can use case analysis as a means of continuing their professional development.